When it comes to football, I couldn’t care less. I mean, I really couldn’t. And Clark doesn’t give it the time of day either. [I love that about him.] There’s a really big game coming up, though, I’m well aware. 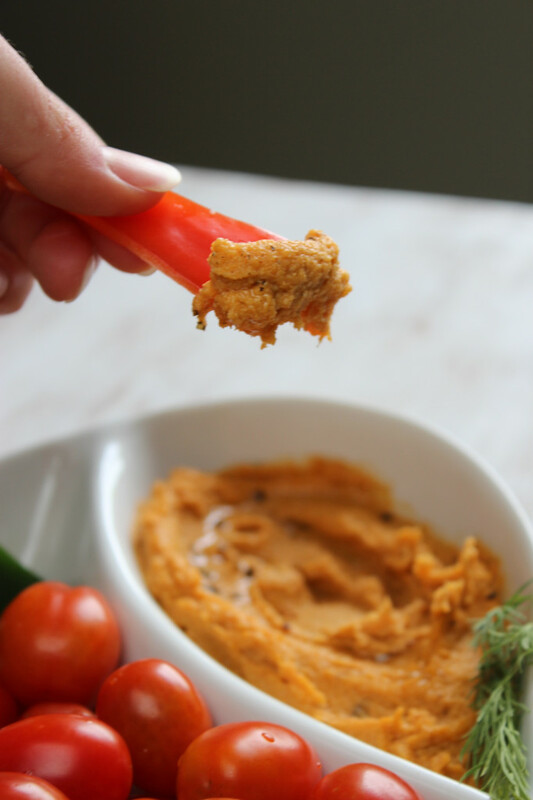 And we happened to make this awesome hummus just in time for game day snacking. Whether or not it makes the lineup at your Super Bowl table is your decision. I will say this – the odds are in your favor if this stuff makes the cut. It’s a triple threat of delicious, healthy, and irresistible. You really can’t lose with this dip. Sweet potato probably isn’t the first thing that comes to mind when you think of hummus, or at least it wasn’t for me. But then I tried this stuff. Bye bye, chickpeas. I was already a sweet potato freak, and now I have yet another healthy way to enjoy one of my favorite foods. I call that a win. 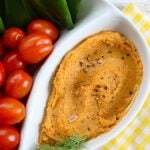 About the flavor: as you’d expect from sweet potatoes, this dip has a subtle sweetness to it. Combine that chipotle pepper’s smokey spice and a hint of lemon, and you end up with a touchdown, and/or a field goal. Whatever you want to call it, it’s really tasty. 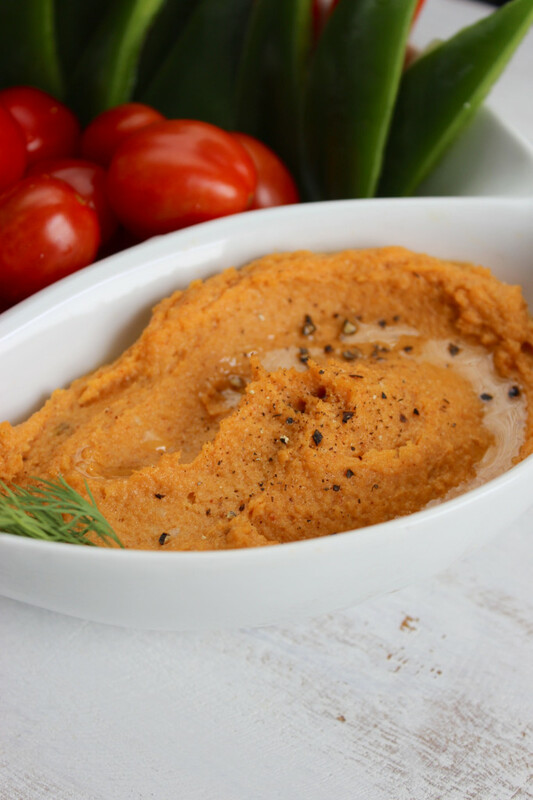 Assuming that you’re dipping veggies in this hummus, you’re getting a hefty serving of healthy stuff, slathered in more healthy stuff. Low calorie plus highly nutritious adds up to another win. Prior to this recipe, our hummus experiments have never turned out very good. The last time we decided to make a batch, we didn’t have any tahini so we tried to make our own. Let’s just say, it wasn’t blogworthy. This time, we didn’t have any tahini either. So we ventured carefully down that path again. Success! If you have tahini already, great. If not, throw some sesame seeds and olive oil into the blender and make your own. With a little patience, you’ll have fresh, homemade tahini for way cheaper. 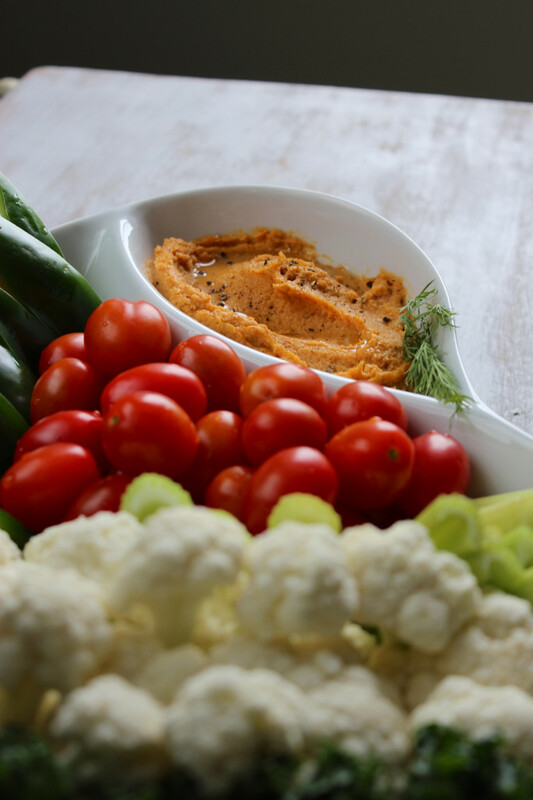 Dip celery, dip carrots, dip tomatoes, dip peppers. Dip to your heart’s content. You won’t feel half as guilty about munching on this as you would if you grabbed a tub of ranch on your way out of the grocery store. An added bonus about bringing this dip to the party? 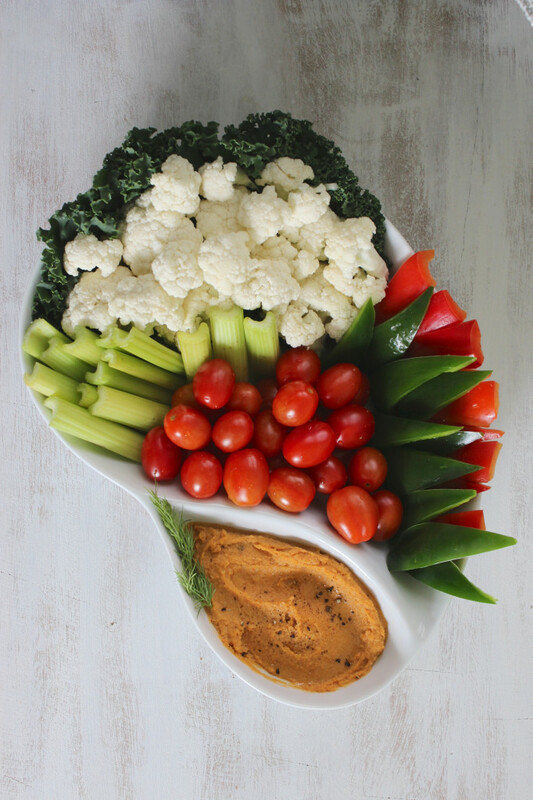 A veggie tray is not going to be at the top of most peoples’ priority list, which means you’ll get to load up your own plate with it while avoiding the bad stuff. Any way you look at it, this dip is a win. 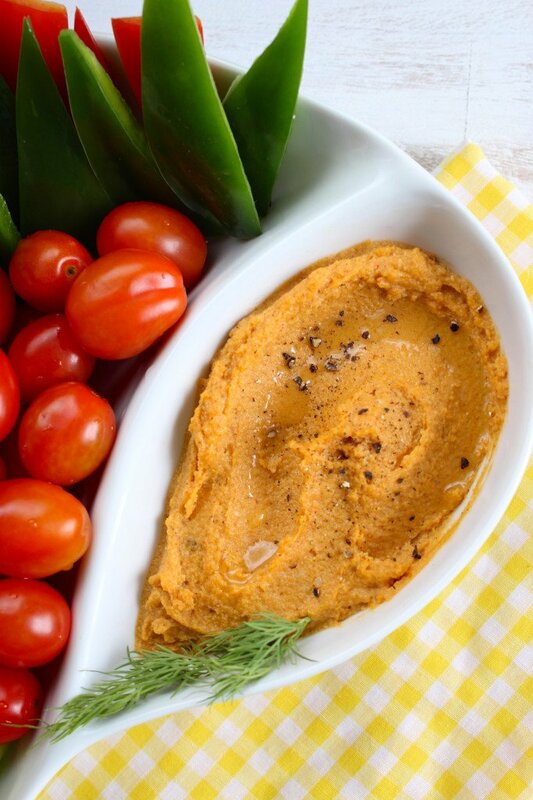 A healthy, delicious dip, great for snacking and packing in lunches. Smoky, sweet, and creamy! Preheat the oven to 415º. Cover a baking sheet with foil. Cut sweet potatoes in half lengthwise, then place them cut-side down on the baking sheet and roast them for 40 minutes. Allow sweet potatoes to cool, then remove the skins. In a medium bowl, mash the sweet potatoes until smooth. Add remaining ingredients and stir until well combined. If necessary, food process the mixture for a smoother consistency. For hummus, sometimes I’ll use non-fat plain yogurt with a few drops of sesame oil for flavor, instead of tahini. It adds tartness to hummus, and avoids a lot of fat calories, for those of us who watch for that. No olive oil on hand…. could any other oil work? Or would the taste be too different? Sesame oil would obviously be a good substitute. You could also try with coconut oil, as long as it is in liquid form. Let us know how it turns out! Thank you for the wonderful recipe. Have a Happy Weekend!